Of course, there's a statue, but there's also an impressive list of unique physical and digital offerings for fans of the series. Been waiting for the inevitable collector's edition for God of War to be revealed before pre-ordering? Then now if your time to strike like a perfectly sequenced quick time event! Gamestop has revealed the God of War Stone Mason Edition is now available for pre-order. 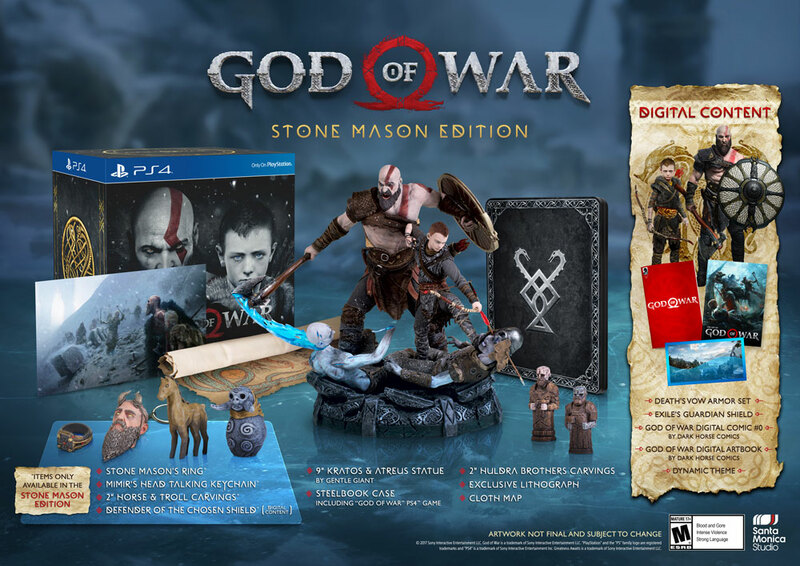 Retailing for $149.99 the Stone Mason edition features a 9" statue of Kratos battling alongside his son Atreus, a physical copy of the game, and a steelbook case to keep the game in. Along with those offerings, fans will also get a lithograph, a cloth map, a stone mason's ring, a "carved" horse, a troll carving and two carved Huldra Brothers. But wait, there's more! There's also a talking Mimir's Head keychain and a healthy amount of digital content. There's definitely a lot of interesting physical trinkets included in the Stone Mason Edition, I'm curious to see how many of carved artifacts will actually be carved out of stone or wood. 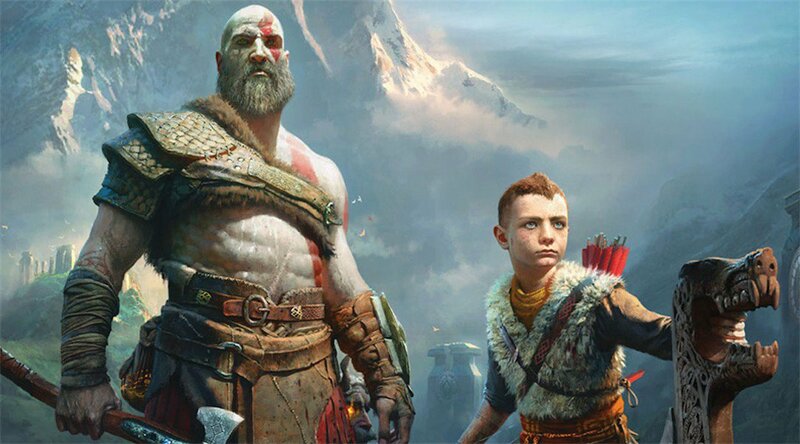 As for now, we'll all have to wait until God of War launches exclusively on the PS4 later this year. Secret Handshake with every purchase! Well, I guess these overpriced statue editions must sell, because they keep making them.